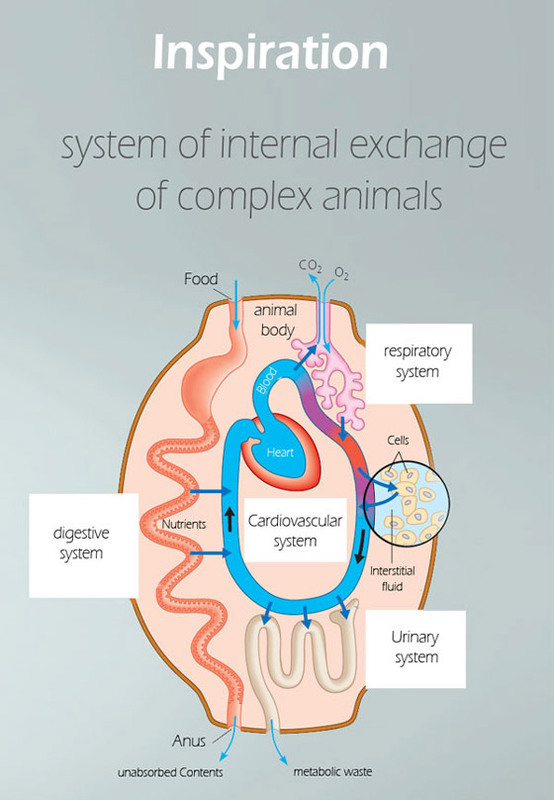 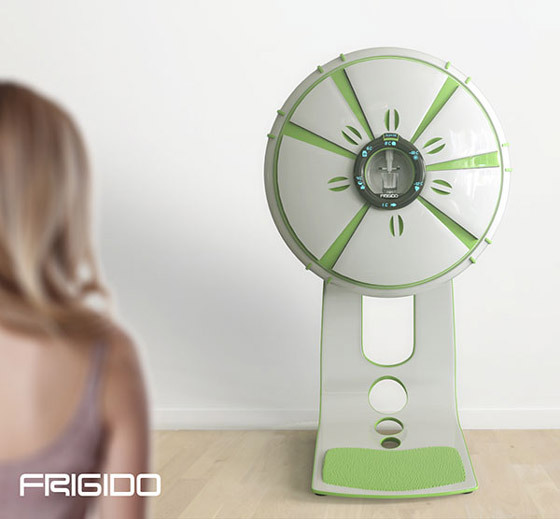 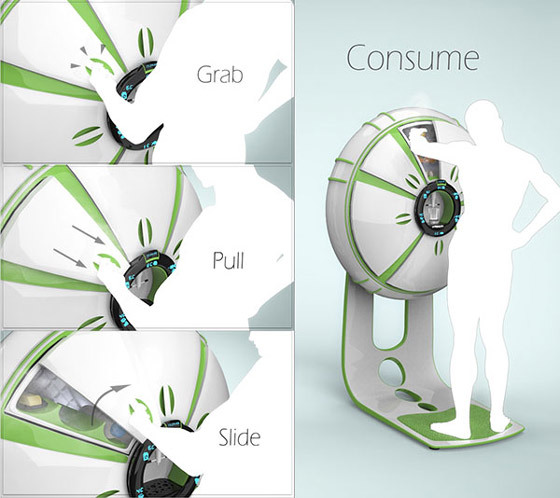 Frigido is a radical refrigerator concept that inspired by human cardiovascular system – distributing and exchanging of blood with organs surrounding the heart. 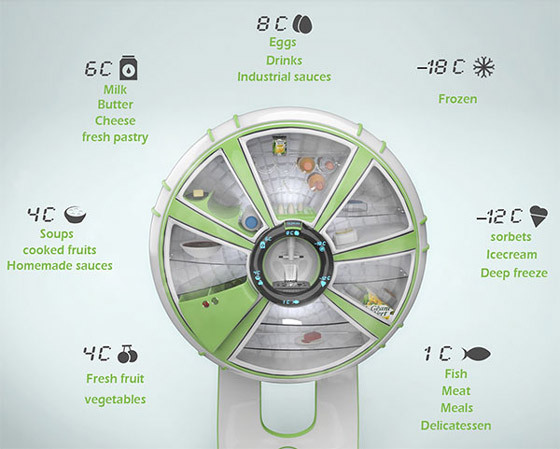 This concept fridge is divided in 6 compartments with different temperature, each compartment fits a specific food category, with its own temperature and humidity requirements. 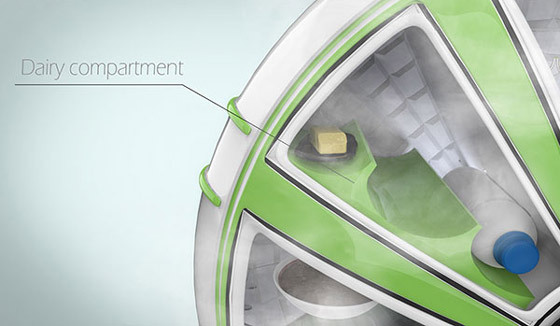 These compartments are placed in a pie-change and surround the “heart” of the Frigido – the cooling system that distributes and circulates refrigerated air. 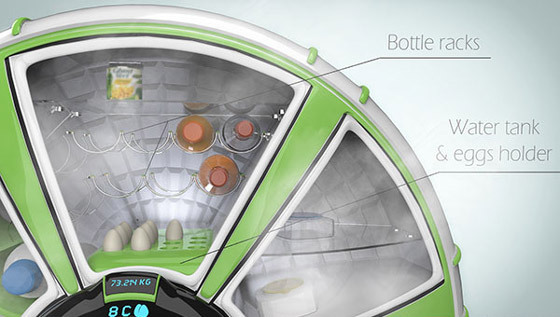 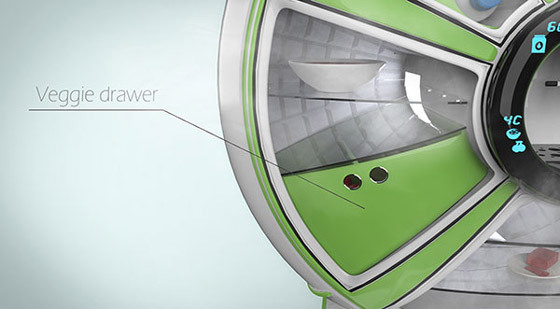 By using individual compartment, user can just open the compartment they want and reduce the lost of cold. 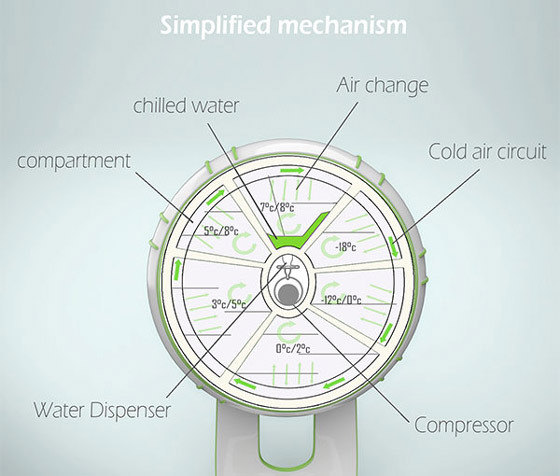 Moreover, it also help to eliminate the risk of food contamination and provide fresh, quality food to small householders.